Summer Cottages are a great vacation place, but make sure you winterize your home so this doesn’t become a reality. 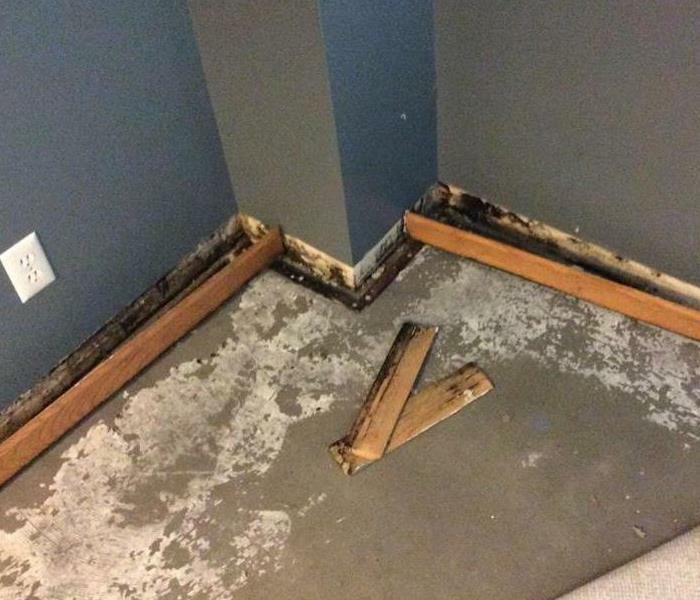 Water damage can cause more damage if left unattended for a long period of time. SERVPRO of Southwest Grand Rapids was dispatched to a summer cottage where the pipes had frozen and led to water damage in the living room. Don't forget to winterize your cottage, or keep your heat above 55 degrees to prevent damage from frozen pipes. This apartment building had water line break when an unexpected freeze hit. Thankfully the maintenance team caught it in time and called SERVPRO of Southwest Grand Rapids to mitigate the damage from further to other units and prevent mold growth. SERVPRO of Southwest Grand Rapids has the capability to mitigate the damage from Sewer backups that flood your home. We also have trained professionals to properly handle the bio-hazard waste that come with it. Call SERVPRO of Southwest Grand Rapids at (616) 662-9700 today, 24/7 for service. When water gets into the home it travels fast. 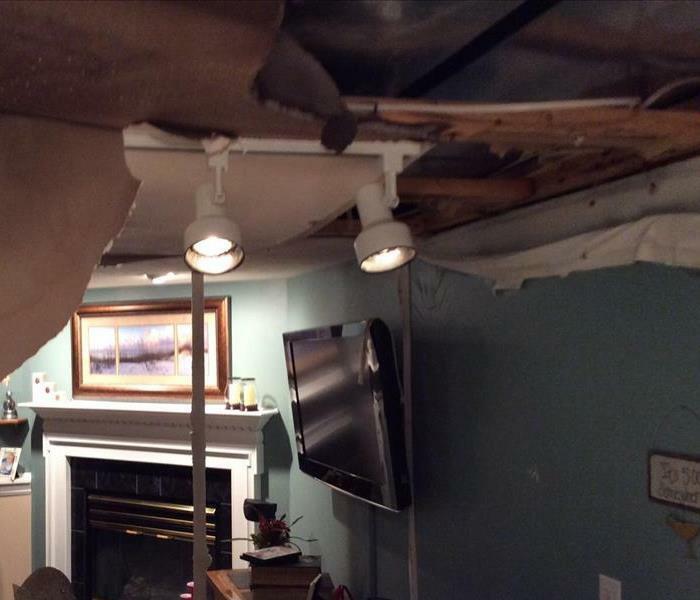 The roof leak and heavy rain caused the ceiling to collapse in the kitchen and water spread throughout the house. SERVPRO of Southwest Grand Rapids was able to mitigate the water and dry out the ceiling, walls and floor in the living room. A quick call to action can save you time, energy and money. By acting fast you can prevent water damage and mold growth. Call SERVPRO of Southwest Grand Rapids at (616) 662-9700 24/7 for water damage services. A water leak in the kitchen caused the entire to be saturated. 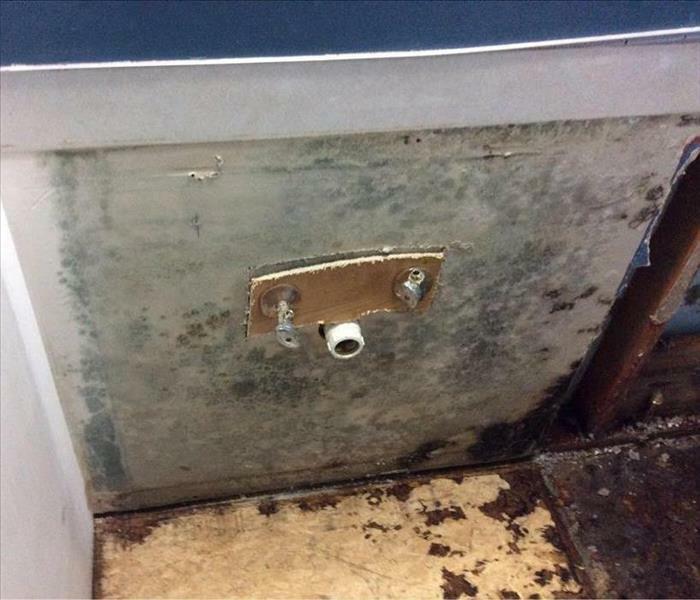 In efforts to save the floor SERVPRO of Southwest Grand Rapids used a process called Inject-a-dry; where we place floor mats on the floor, connect it to an exhaust fan and pull the moisture out of the flooring without causing further damage to the floor. Then we place dehumidifiers and fans in the room to remove moisture from the room to fully mitigate the water. SERVPRO of Southwest Grand Rapids is part of SERVPRO’s Storm team and has the capability to respond to disaster across the nation. Here our Storm Damage Team is traveling to Ohio to assist the local SERVPRO franchises with property damage restoration assistance. Generally, storm flooding requires that affected porous materials inside a home or building must be removed. Less porous, or non-porous surfaces, such as concrete floors and the studs can usually be saved and cleaned to a sanitary condition. A recent tornado came through and flooded this commercial basement. Due to a huge surge of rain the outside drains were not able to drain properly, as they were covered in debris. The 5,000 square foot basement had 3 inches of stand rain water that entered the building under the loading dock doors. 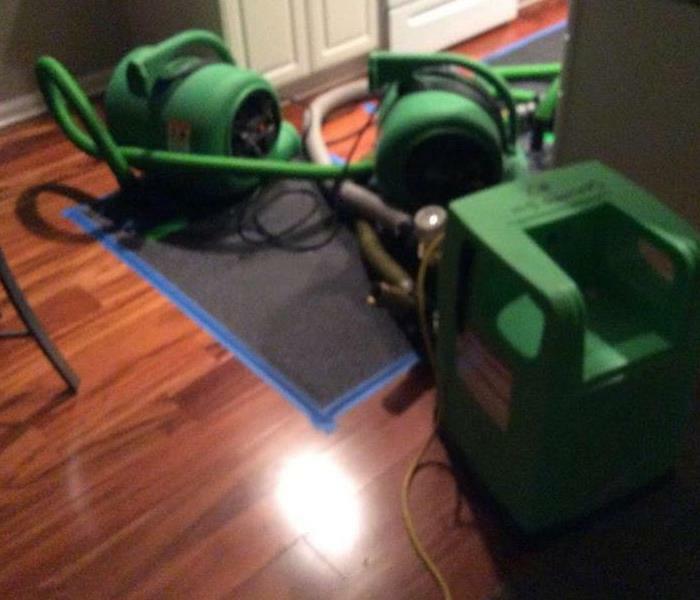 SERVPRO of Southwest Grand Rapids came in with a full team at 10 pm, working until 4 am to remove the water and set equipment to begin the drying the process. 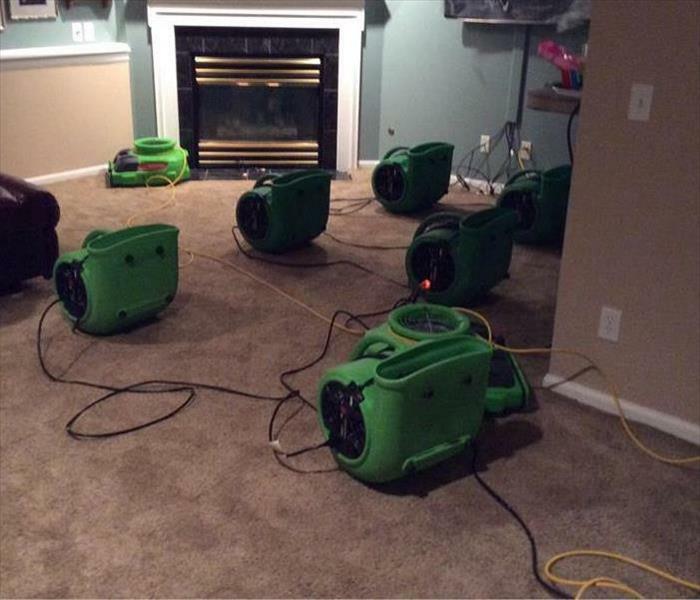 Our team dried out the affected area within four days, with multiple dehumidifiers and air movers. All the while the building was able to perform normal operations. Big storms roll through the community and caused flood damage to this community home. SERVPRO of Southwest Grand Rapids was able to respond with our Desiccant Trailer and full crew to mitigate the water damage and remove the debris all without disturbing the residents. This Kent County home suffered serious damage after a recent storm. The homeowners were grateful that our 24/7 services were available to them in their time of need. SERVPRO of Southwest Grand Rapids was able to remove the debris, clean up to pre-construction condition and cover the damaged area to prevent any further debris from falling from the ceiling. A house fire causes more than just fire damage and smoke damage. Two weeks after the fire happened SERVPRO of Southwest Grand Rapids responded to perform fire demolition and during this time mold was found due to the water hose to put out the fire and rain. SERVPRO of Southwest Grand Rapids has the trained professionals and equipment to mitigate not only the fire but also mold. Call 616-662-9700 for emergency services 24/7. This Grand Rapids family was in the middle of replacing there carpet when they found mold growth behind the baseboards in the living room due to a small roof leak. SERVPRO of Southwest Grand Rapids was able to remediate the mold to pre-construction condition and the family was able to finish the remodel process on time. Laundry rooms are a great source of moisture, heat and dark spaces, three things mold needs to survive. Don’t ignore that mildew smell in your laundry room. Move your appliances annually to clean around them so you can check for mold and clean your dryer vents. Mold growth can be prevented if you are proactive. SERVPRO of Southwest Grand Rapids if the job is to big at 616-662-9700. Mold likes to hide and be left alone. Most of the time you don’t even know you have a mold problem until you see it smell it. Upon investigating you find the smallest spot of discoloration in a room. The smallest spot can lead to a bigger problem behind the wall. Call SERVPRO of Southwest Grand Rapids to remediate your mold at (616) 662-9700. 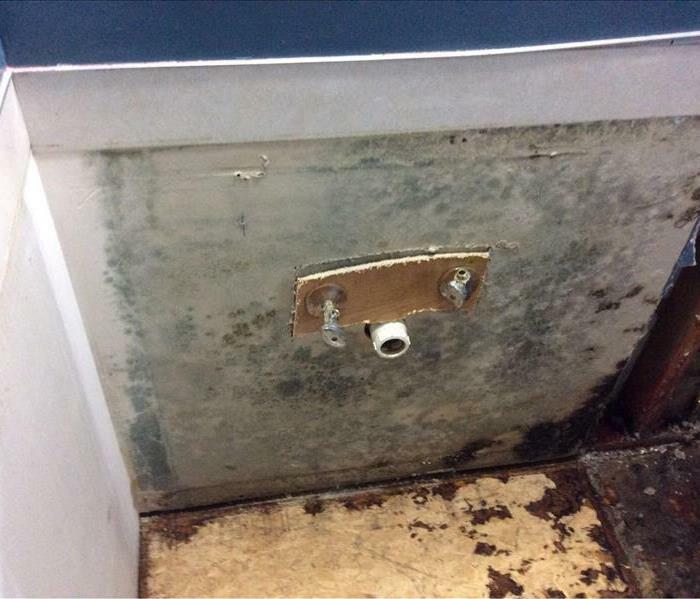 Bathrooms are a good place for mold growth, as you can see here. SERVPRO of Southwest Grand Rapids removed all fixtures, walls and insulation then sprayed the room with sporicidin. In order to prevent further spreading of mold spores, we block of the contaminated area with a thick plastic during demolition and place the affected material in bags for proper disposal. Here in this picture you can see our trained professionals wearing personal protective equipment for his own safety. Mold needs five things to live: 1) Moisture, 2) dark place, 3) host, 4) warm temperature and 5) to be left alone. This is simple recipe when it comes to utility rooms, and here is a great example of a utility room that has provided every element. SERVPRO of Southwest Grand Rapids was able to remediate the mold using our sporicidin spray and drying equipment. Mixing liquid chemicals is a hazard that we are all aware of. However, the hazard is still there even on cloth. When working around chemicals ensure that you are aware of the reaction during use; exercising proper storage and disposal procedures. This fire was caused by a chemical reaction amongst used rags with multiple chemicals. SERVPRO of Southwest Grand Rapids was able to mitigate the fire and water damage to pre-construction condition. 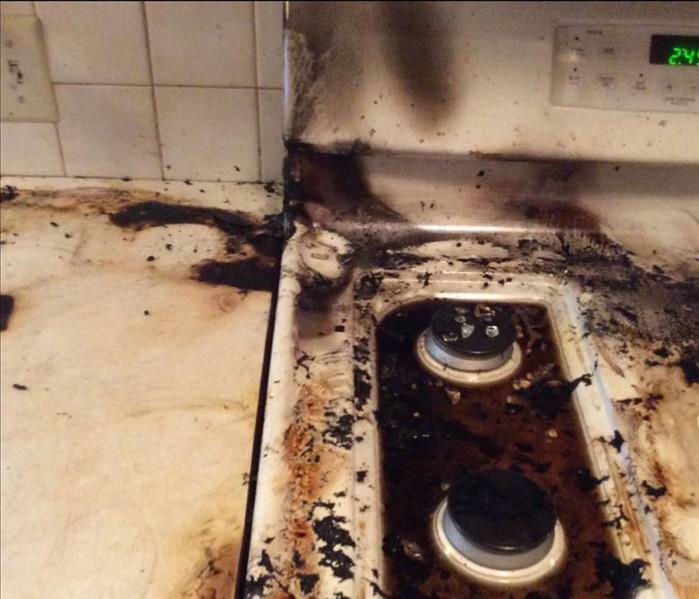 Never leave your stove unattended while cooking with grease. This gas stove caught on fire after the grease spilled over. Fortunately the fire damage was contained to just the stove the top area and the rest of the house was only affected with smoke damage. Fire places in the home are very relaxing and a great way to spend quality with your loved ones in the middle of the cold Michigan weather. Proper annual cleaning and inspection of your chimney and fire place can help prevent damage such as this to your home. SERVPRO of Southwest Grand Rapids was able to mitigate the fire and water damage to pre-construction condition. SERVPRO of Southwest Grand Rapids responded to this Apartment fire to mitigate the debris from fire and water damage, then boarding up the affected areas for safety precautions. By using our ozone machine and chemical sponges, we were able to remove the smell for the remaining tenants was able to mitigate the water within 6 hours. This commercial dryer caught fire due to lint build up in the lines. Cleaning your dryer vents is not something you may think about in your weekly cleaning, but should be done on an annual basis to help prevent fires. 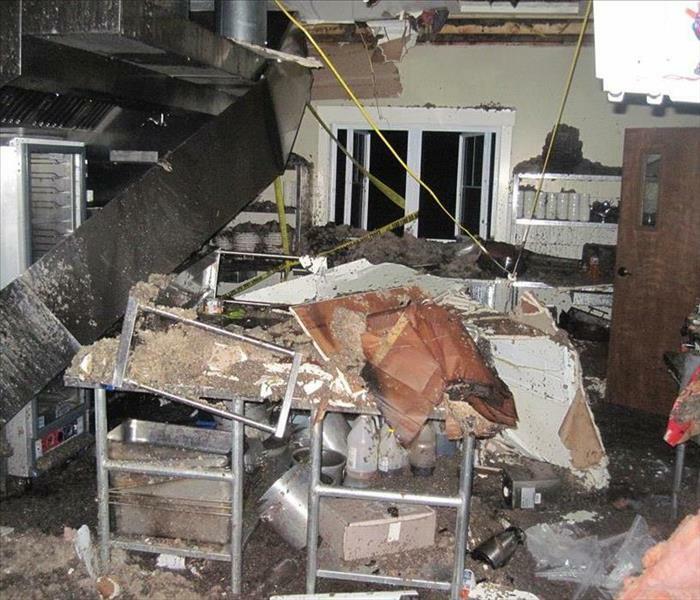 After fire broke out in the kitchen in this Jenison home, the water damage caused the ceiling to collapse. SERVPRO of Southwest Grand Rapids was able to mitigate the water and debris “Like it never even happened”. Heavy rains in a short period of time caused the outside water drains to backup into this office building, leaving 2 inches of standing water. 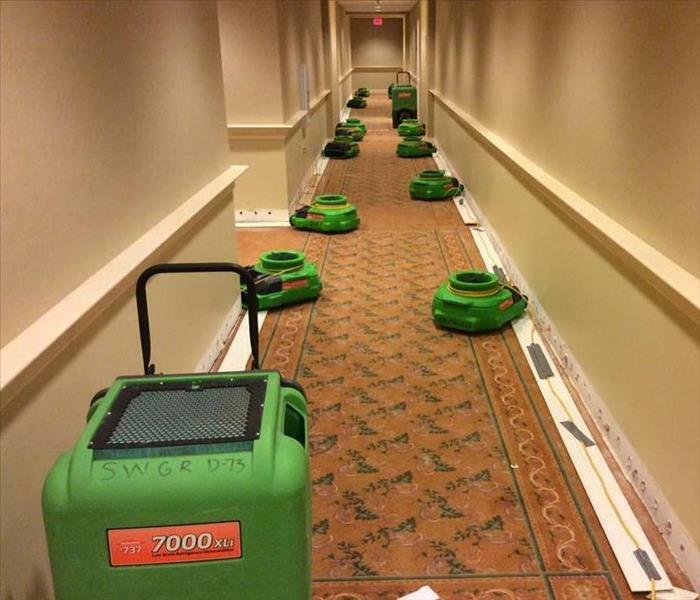 SERVPRO of Southwest Grand Rapids was able to mitigate the water within 3 hours on a Sunday night and they were able to use the office Monday morning. 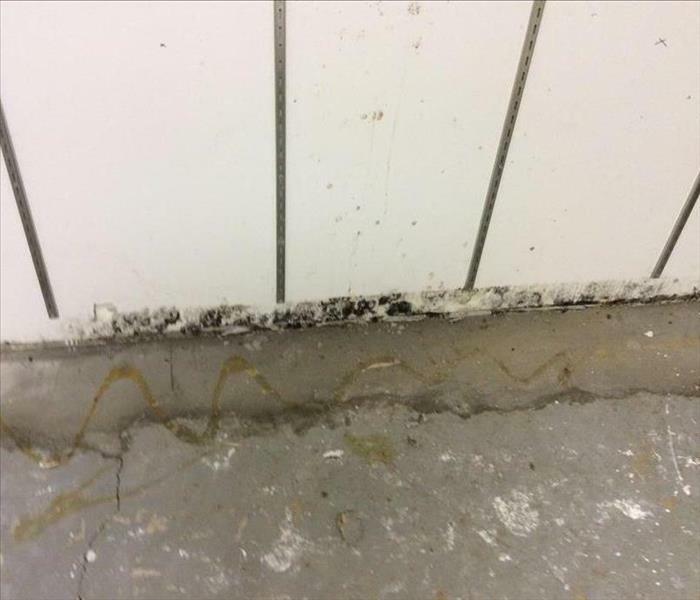 Due to a recent tornado that left behind 3 inches of standing rain water in the basement of this commercial building, SERVPRO of Southwest Grand Rapids was able to mitigate the water within 6 hours. Call (616) 662-9700 for services 24/7 365. A local community center caught on fire and the kitchen was a total loss! SERVPRO of Southwest Grand Rapids was able to demolish the kitchen, remove the trash and prepare for reconstruction. We then used our state of the art equipment to deodorize the smell and soot residue from the affected areas. If flood or fire strikes, you can depend on your local SERVPRO of Southwest Grand Rapids for fast and thorough service. With 24/7 emergency responses available, we will give you the best flood damage clean up and restoration service available. We can decrease recovery costs and limit downtime so you can service your patients expediently. An unexpected freeze can cause a lot of damage to water pipes. This sprinkler system failure caused water to cover half of a 2nd floor hotel. 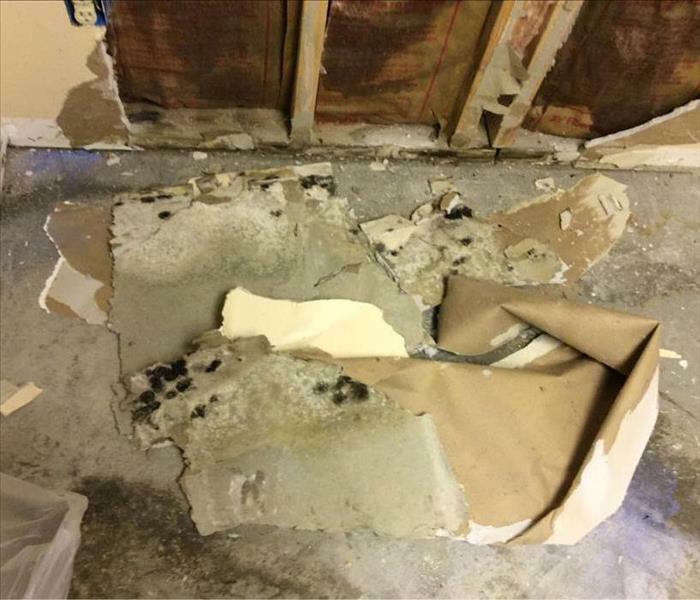 SERVPRO of Southwest Grand Rapids quick response, water mitigation and drying process, kept this business in operation during the entire process. Sprinkler systems are a great thing to have in the event of a fire. Unfortunately this Grand Rapids business suffered a Sprinkler system malfunction. 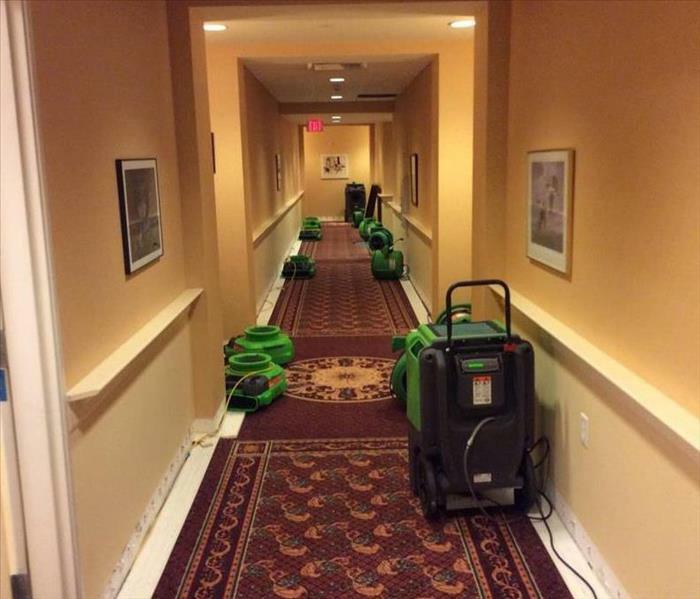 SERVPRO of Southwest Grand Rapids placed multiple dehumidifies and air movers to dry out the entire third floor. 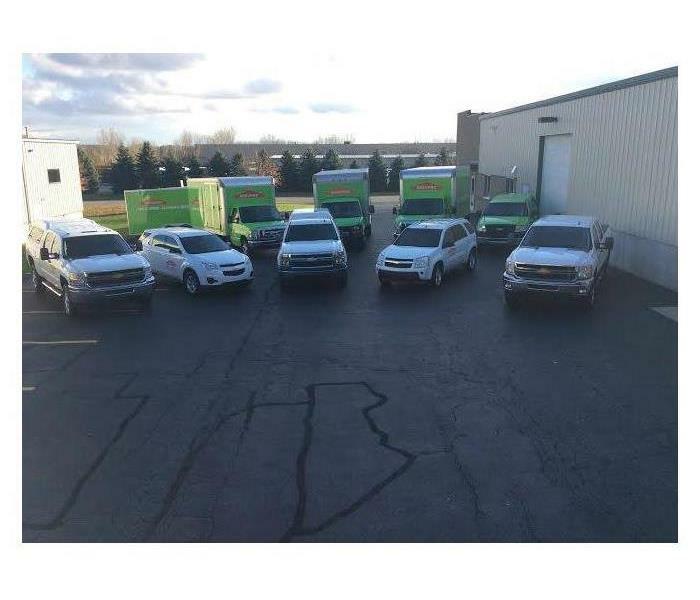 SERVPRO of Southwest Grand Rapids has a daily operating fleet of four trucks, three box response trucks, and two suv’s. All vehicles are equipped with personal protective gear at all times. 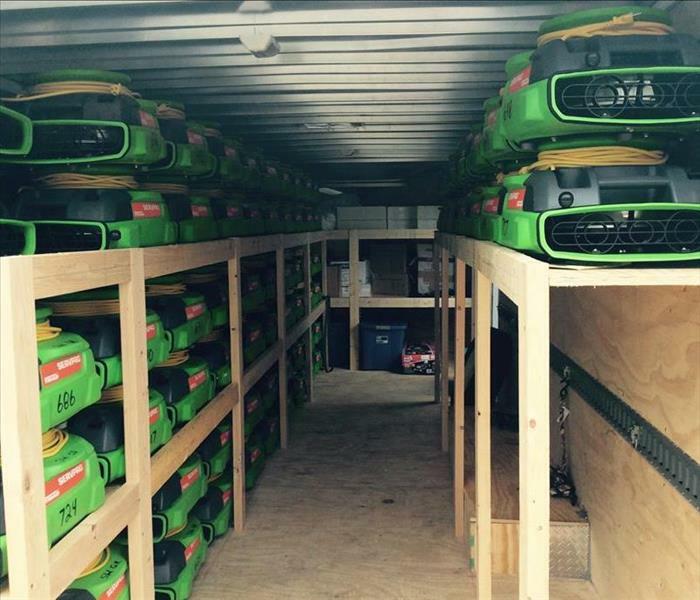 Our response trucks are packed with equipment needed to respond to your restoration need. We own and operate each vehicle 24/7 for Residential and Commercial Restoration or cleaning needs. SERVPRO of Southwest Grand Rapids owns, operates and certified technicians for an Esporta Washing Machine. We wash and fold laundry from; Water Damages, Sewer Damages, Soot Damages, and Fire Damages. 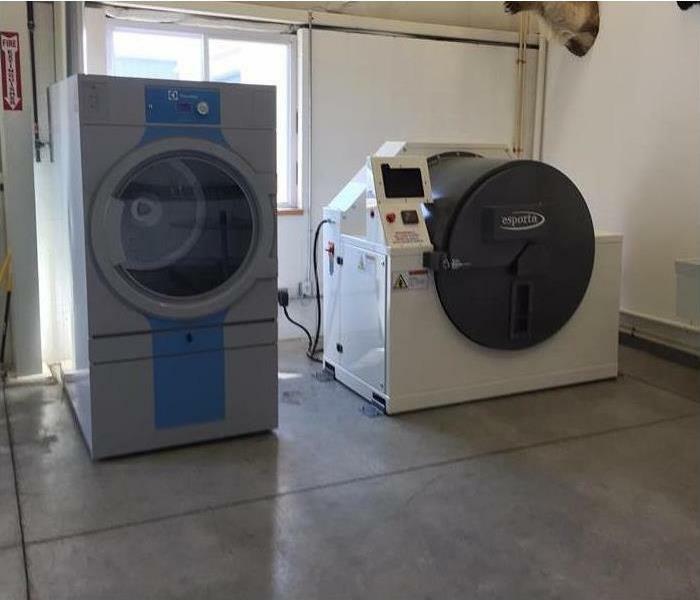 This process saves time in getting your laundry back faster. 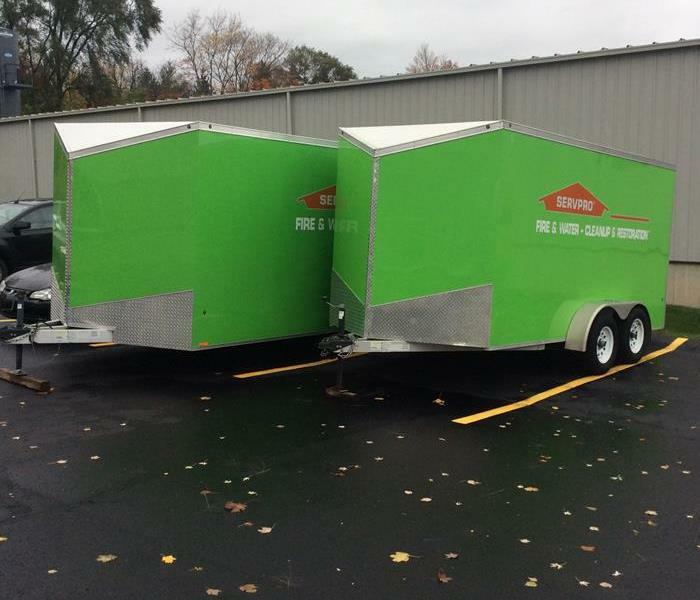 Owned and operated by SERVPRO of Southwest Grand Rapids, two Trailer Mounted Desiccant Dehumidifier with Generator Trailers. Desiccants are used to remove moisture from the air and speeds the process of drying out a large room, they are mainly used for the Commercial water losses. SERVPRO of Southwest Grand Rapids owns and operates a 14 ft empty enclosed storm trailer, available for response needs 24/7. No Water Damage is too small or too large for our technicians to handle. At SERVPRO of Western Michigan we make disasters "Like it never even happened." 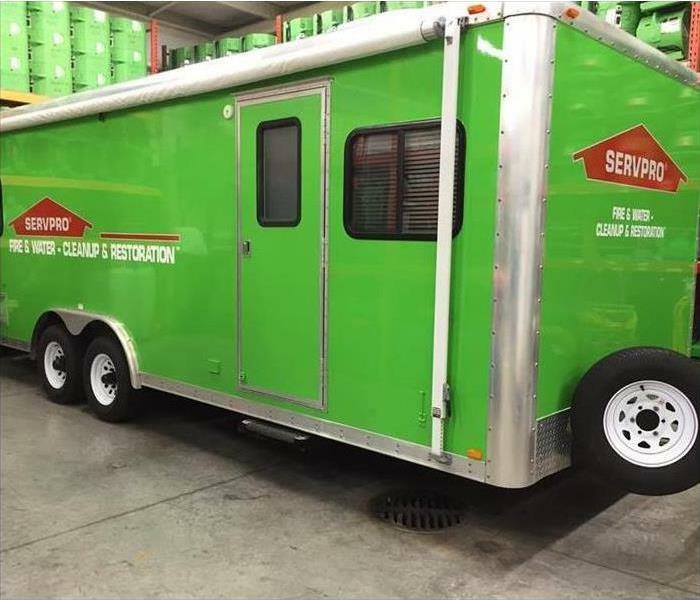 SERVPRO of Southwest Grand Rapids owns and operates a 20 ft enclosed storm trailer, available for response needs 24/7. Loaded up with our equipment and ready for the next Storm Disaster. No Water Damage is too small or too large for our technicians to handle. At SERVPRO of Western Michigan we make disasters "Like it never even happened." As part of the National Disaster Response team SERVPRO of Southwest Grand Rapids is equipped with a Portable Office for Storm and Large Loss Sites for Disaster personnel to have a ground zero home station.